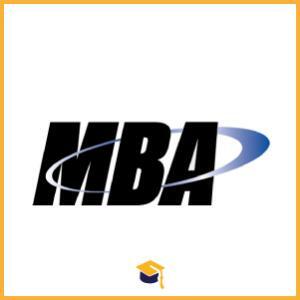 NMAT By GMAC has announced the Entrance Exam for the NMAT By GMAC Entrance Exam 2018 for the MBA Program. Candidates can apply online on or before 03-10-2018. Candidates should have Bachelor Degree from a recognised university. Candidates have to pay the Application fee of Rs.1600 + Taxes for all the category. 03rd July 2018 (10:00 A.M). Visit the NMAT official website and Click on Register Now in the Quick links on the left side of the screen. Enter a valid e-mail ID. Click on No, I am a new user. New user Registration details will open up, enter your first and last name and choose a password. Click on Register and Sign In button. A new window for filling the Online Application form will open on the screen. An authentication email will be sent to an email given by the candidates. Candidates will be able to proceed with registration only after validating their given email ids. Candidates must fill in the details as asked in the online application form related to their personal, educational and work experience details. The candidates have to upload a recent coloured photograph of 500 KB which has to be 200 pixels high and 150 pixels wide. Before submitting the form, candidates will be able to see the complete application form displaying the entered information. Candidates must go through the form carefully to check the entries. Once they click on Submit button, they will not be able to make changes to any field except their educational qualification and work experience. The next screen will display their unique NMAT by GMAC ID. Candidates are required to pay the applicable exam fee for successful completion of their registration. Candidates can make Payment via, Credit Card - If a candidate chooses to pay through credit card Demand Draft - If a candidate chooses to pay through a demand draft After the application is duly accepted along with the fee by NMIMS, candidates will receive an e-mail with their username to log on to www.pearsonvue.com/nmims and schedule their test on a preferred date and location subject to availability.